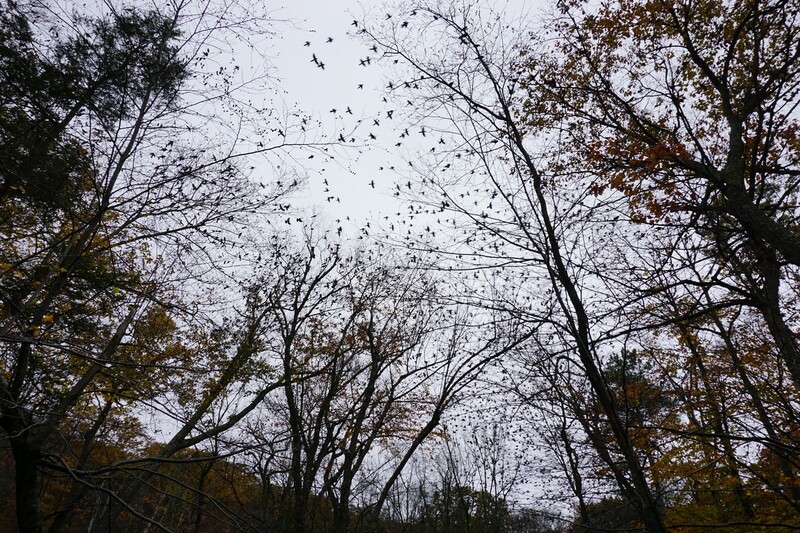 The fall folaige season was definitely later this year than in previous years. 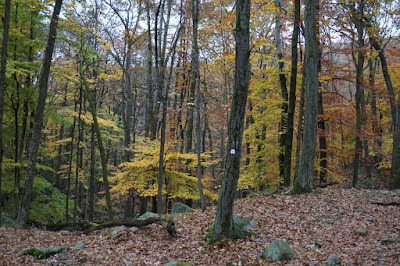 Even though it was already November, the foliage and colors were still very strong. 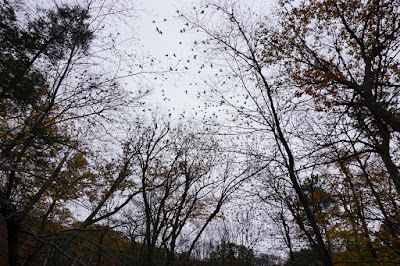 Unfortuneately, though, the weather was rainy and cloudy, with a gray sky. While I was on the hike it wasn't actively raining, but it was damp and felt rainy. 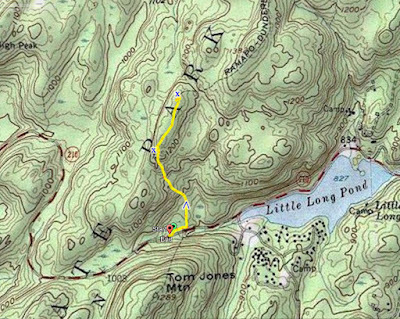 I parked on Lake Kanawauke Road, after the Little Long Pond, at the trailhead by the Ramapo Dunderberg Trail. 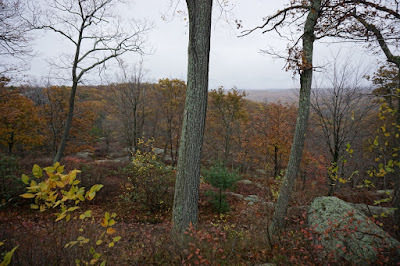 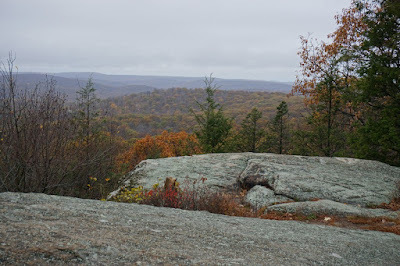 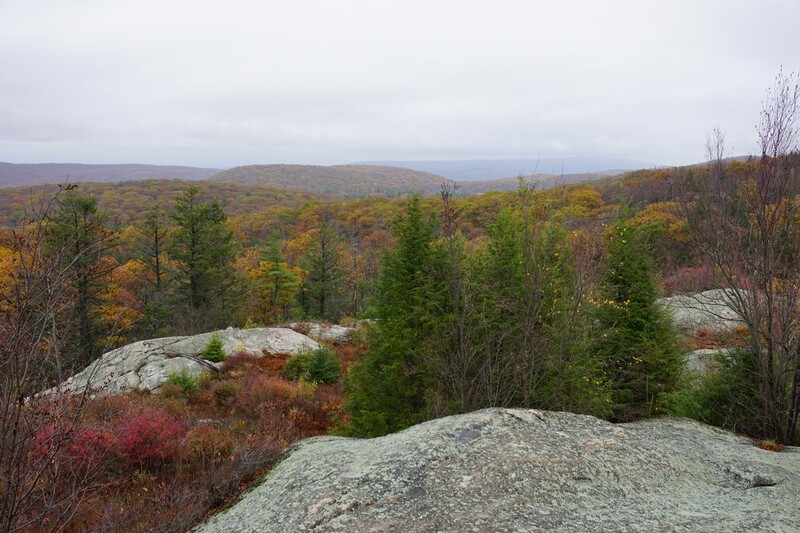 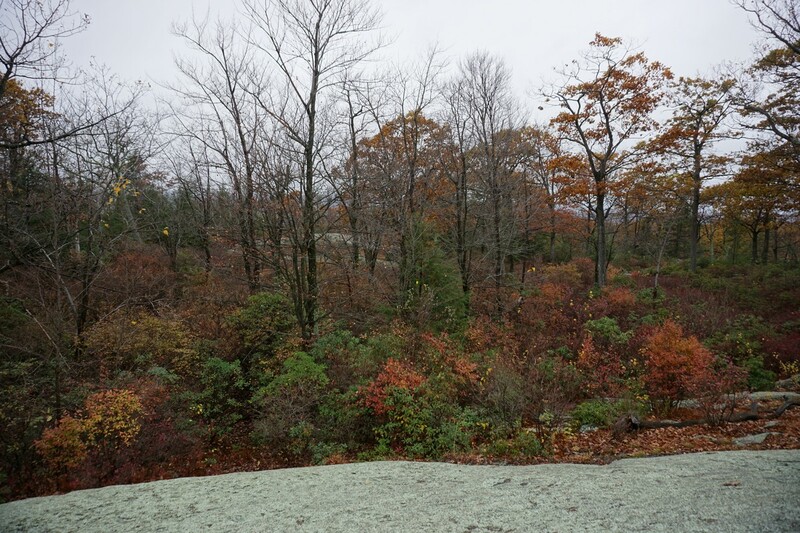 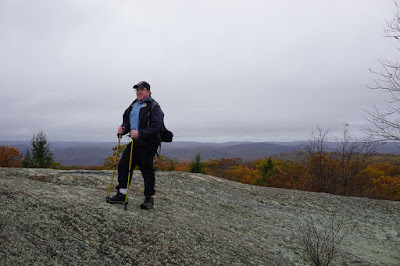 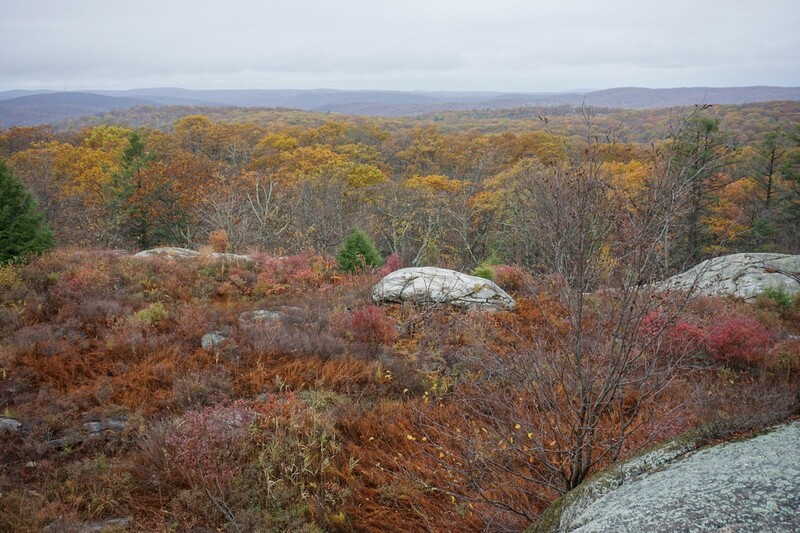 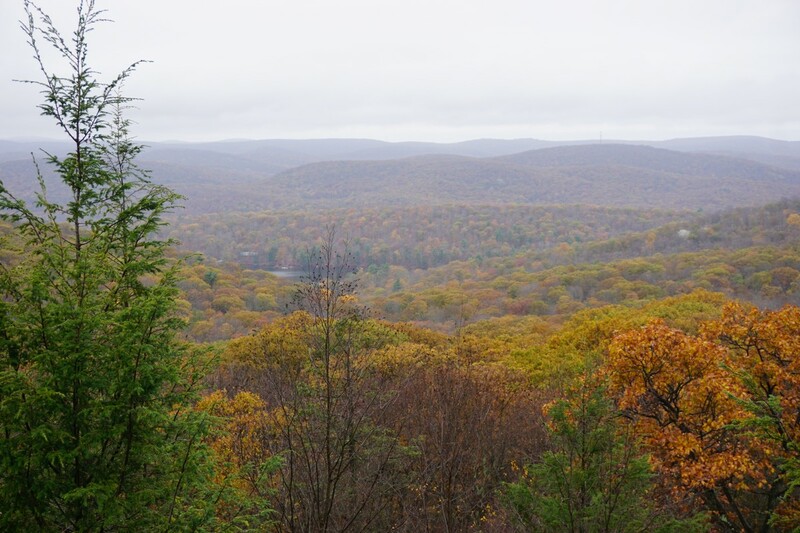 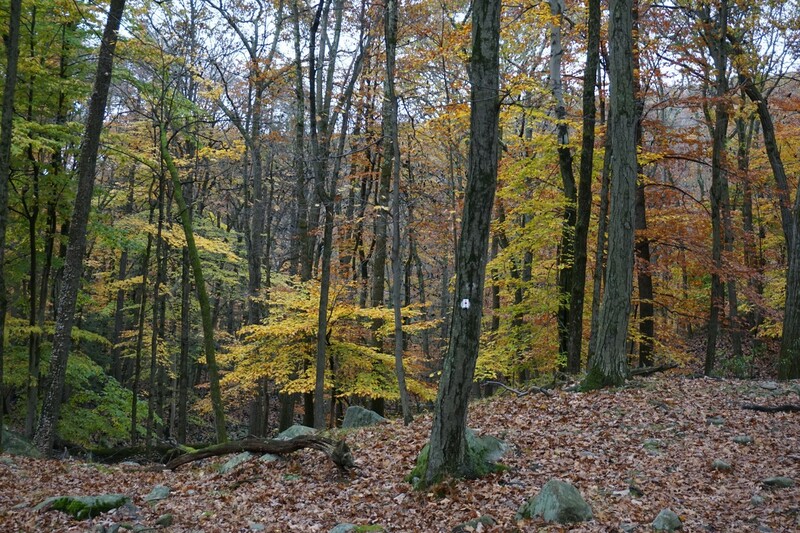 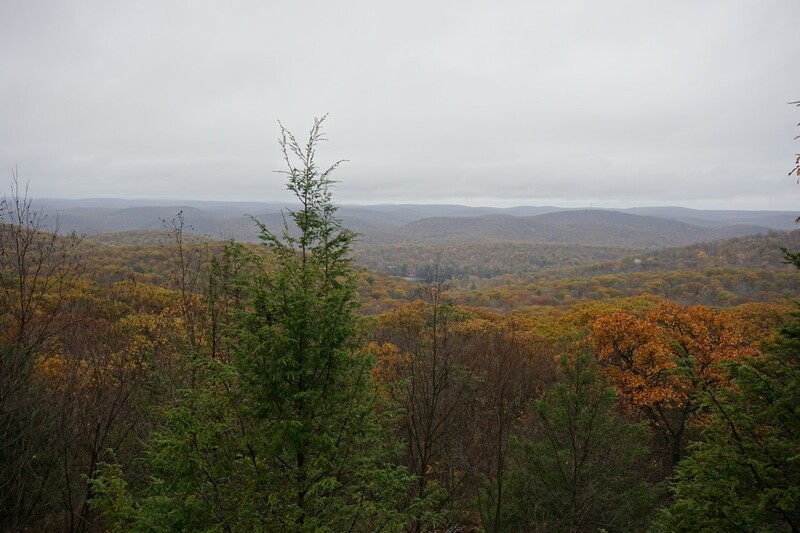 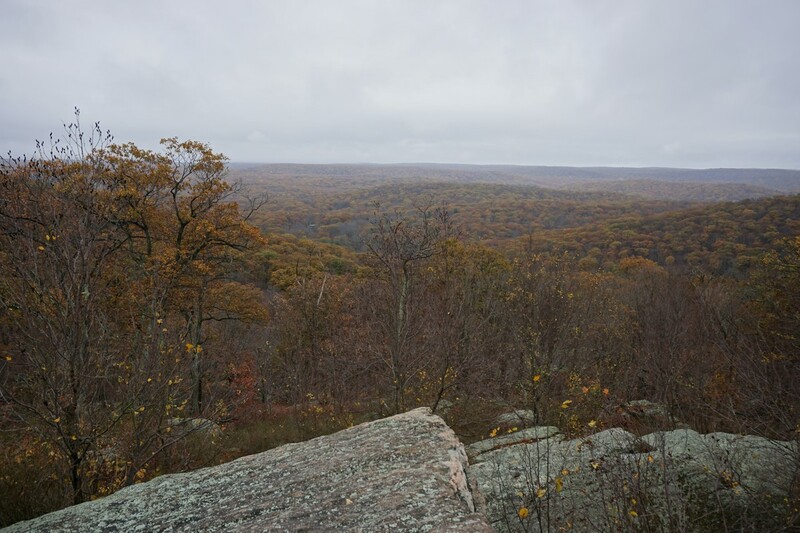 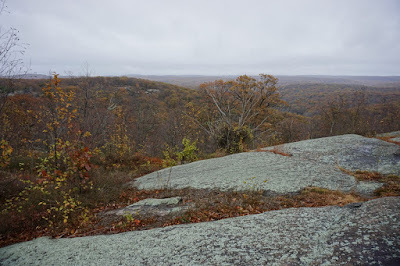 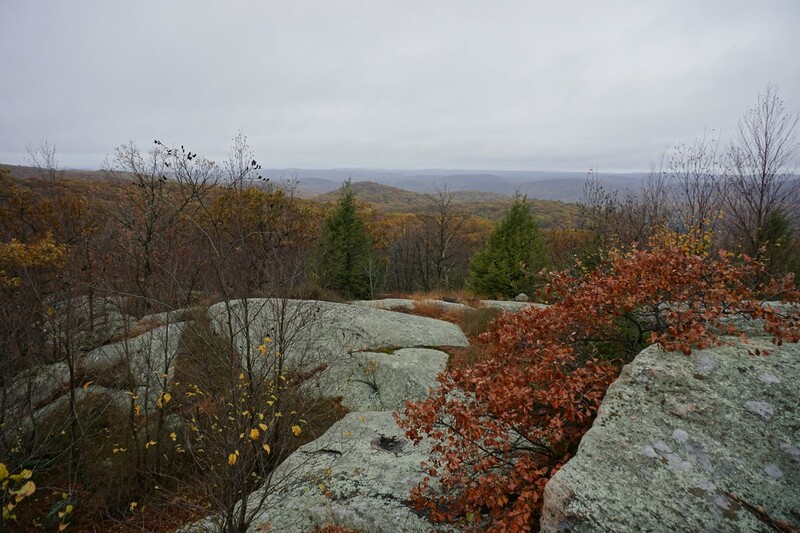 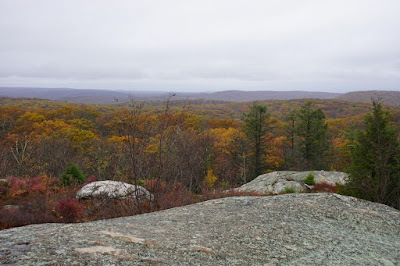 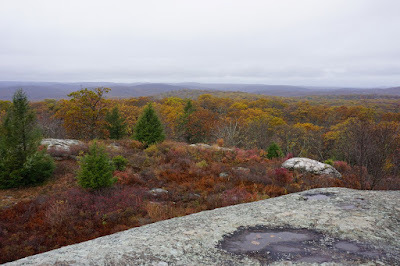 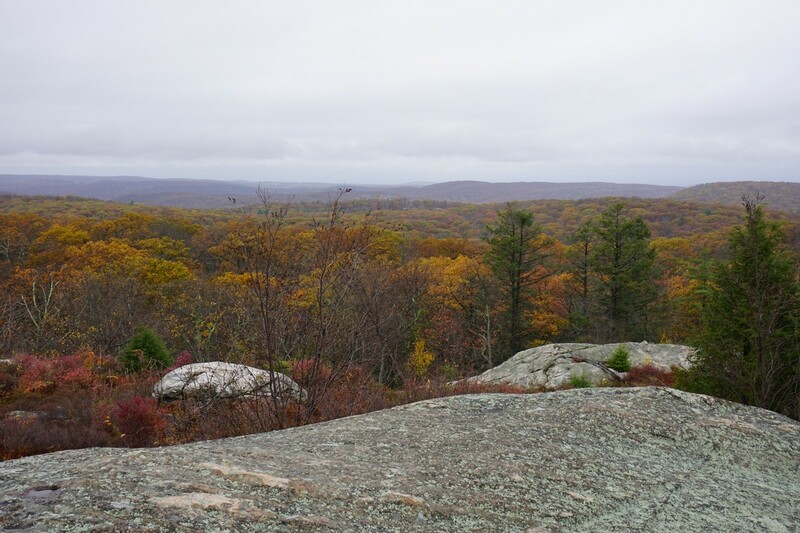 I took the Ramapo Dunderberg Trail north up Black Rock Mountain, to the view at the intersection of the Nurian Trail. 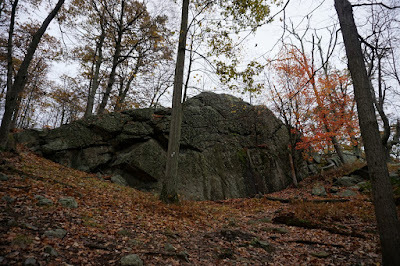 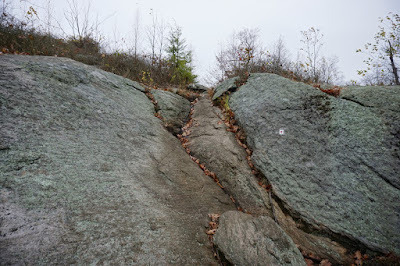 I then continued a bit further north on the Ramapo Dunderberg Trail, to the next view at the large rock face. I then turned around and continued along the same route back. Large Rock on the Ascent.